On the basis of the recommendation of the EASD’s Scientific Integrity Panel, the Editor-in-Chief is issuing this expression of concern to alert readers to questions about the reliability of some of the data in the article cited above. In particular it appears that the immunoblots for total IKKβ in Fig. 4g and k of this paper may have been duplicated. In line with guidelines issued by the Committee on Publication Ethics (COPE), the journal has informed the corresponding author, Mario Saad, of this concern. The author’s response was considered unsatisfactory and the low resolution of the images provided to us prevented further analysis to conclusively confirm or refute this possible duplication. The University of Campinas (São Paulo, Brazil) was asked, in March 2016, to undertake an institutional investigation. As no results from this investigation have been forthcoming this expression of concern is being issued to alert readers to exercise caution when interpreting the content and conclusions of this article. This expression of concern will remain in place until such a time as further evidence is available. “Modulation of gut microbiota by antibiotics improves insulin signalling in high-fat fed mice” has been cited 88 times since it was published in 2012, according to Clarivate Analytics’ Web of Science, formerly part of Thomson Reuters. In particular, it appears that the bands for α-tubulin in Fig. 4b are the same as the first three bands for total p70S6K in Fig. 6k in Ropelle ER et al (2008) (A central role for neuronal AMP-activated protein kinase (AMPK) and mammalian target of rapamycin (mTOR) in high-protein diet-induced weight loss. 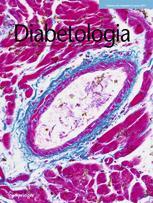 Diabetes 57(3): 594–605. DOI:10.2337/db07-0573). The journal has been unable to obtain the high resolution image used in Ropelle et al from the corresponding author, Dr Carvalheira, and the editorial office of Diabetes no longer had a copy of this image. It has therefore not been possible to use image forensics to conclusively confirm or refute this concern. In line with guidelines issued by the Committee on Publication Ethics (COPE), the journal has informed the corresponding author, Mario Saad, of this concern. The University of Campinas (São Paulo, Brazil) was asked, in March 2016, to undertake an institutional investigation. As no results from this investigation have been forthcoming this expression of concern is being issued to alert readers to exercise caution when interpreting the content and conclusions of this article. This expression of concern will remain in place until such a time as further evidence is available. 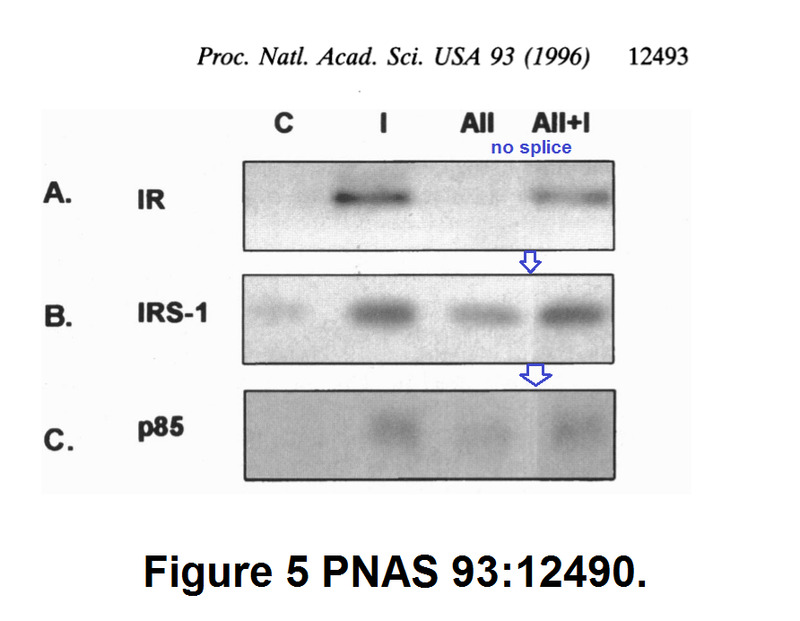 “Aspirin attenuates insulin resistance in muscle of diet-induced obese rats by inhibiting inducible nitric oxide synthase production and S-nitrosylation of IRβ/IRS-1 and Akt” has been cited 28 times since it was published in 2009. The Diabetes paper referenced in the EOC was retracted earlier this year. We contacted Saad; he acknowledged our email, but did not respond to our questions. This isn’t the first publisher to question the University of Campinas’s actions regarding Saad — as part of his lawsuit against the American Diabetes Association, it was revealed that the ADA asked the school to reinvestigate four articles that the university had concluded were “healthy,” and refused to accept any papers from its faculty until the issues were resolved. The publisher eventually retracted the papers — earning it the first-ever Doing The Right Thing Award from our co-founders. Proc Natl Acad Sci U S A. 1996 Oct 29;93(22):12490-5. Cross-talk between the insulin and angiotensin signaling systems. Velloso LA1, Folli F, Sun XJ, White MF, Saad MJ, Kahn CR. Laboratory of Cellular and Molecular Biology, University of Campinas-UNICAMP, Campinas, Brazil.